Sri Lanka is home to many Buddhist and Hindu temples. These religious places have a rich history and boast of architectural designs unique only to the country. The Koneswaram Temple is one of the famous Shivan temples in the former Ceylon worth exploring. Historically, it is known as the Thirukonamamalai Konesar Kovil or the Temple of the Thousand Pillars which was destroyed in the 17th century by the Portuguese. Situated in the eastern province of Trincomalee formerly Thirukonamalai, it stands stop the Swami Rock overlooking the harbor port town. The primary deity here is the Hindu God Lord Shiva who takes the form of Konesar. For historian H.W. Cave, this particular harbour is one of the world’s six most magnificent harbors. Cave described its exact location as facing the Bay of Bengal and the entire eastern coast of India. In terms of size, Trincomalee is also the world’s fifth largest natural harbor. The harbor is divided into several bays such as the Cod Bay, Yard Cove Bay, China Bay and the Sober Islands. Three ancient Hindu temples connected to each other can be found on the Swami Rock compound. The other two temples honor the deities Ganesh, Vishnu, Ambal-Shakti and Murukan. 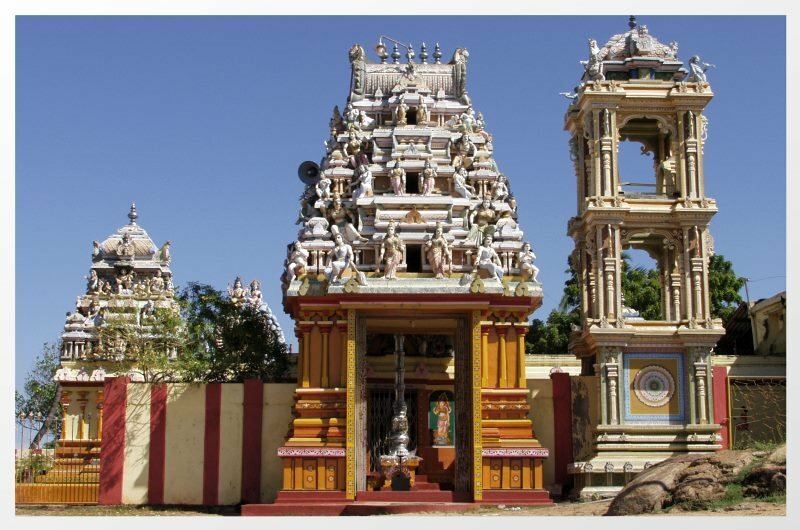 Koneswaran is considered one of the richest and most visited temple compounds in the entire Asian region. Its other notable title is being one of the most important surviving and influential structures of the classical Dravidian architectural period during the early part of the 17th century. This temple’s unique architecture features a thousand pillared hall and the Jagati which have been highly praised by poets, pilgrims and sailors. It boasts of elaborate bas-relief ornamentation with the megalith and carvings on the black granite with multiple gopuram towers. The entire compound had been destroyed during the colonial attacks that occurred between 1622 and 1624. But the structures were rebuilt and renovated through time. Some of Trincomalee’s hidden gems remain unexplored due to security reasons. Some of them are the Tambalagaman Bay which used to be the best diving spot for window pane oysters, Sweet Bay, Back Bay, Coral Cove and the Dead Man’s Cove.